The Half Marathon is proudly sponsored by the Carpentaria Golf Club. The half marathon course encounters road, bush, beach and dirt. With the event setting off just before sunrise. This event is a flat track and teams of two can enter the event. There will be a half way check point for the teams to swap out. Starting on Andoom Rd running north towards Mission bridge, the course then heads west along a dirt track past the Rocky Point swamp and into the ‘single persons quarters’ (SPQ) following the bitumen road through to the Rocky Point boat ramp – this is aid station #1 which is at the 4km mark. From here runners will run along the white sandy beach on hard sand for approximately 1km before leaving the river bank slightly and following a track through the bush to the Albatross Hotel, where the bottle shops drive through will be setup with aid station #2. Cold one anyone? 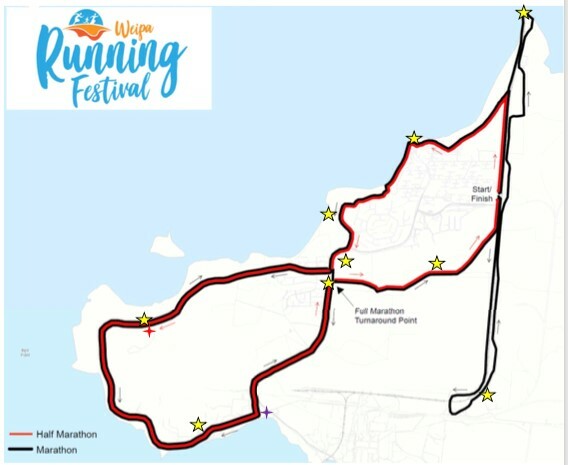 Runners will then head out onto the public road for a short period before following the bitumen bike track over Trunding Creek, past the shopping centre and Tennis courts into the Weipa Caravan Park (where the toilets will be available for use if needed). 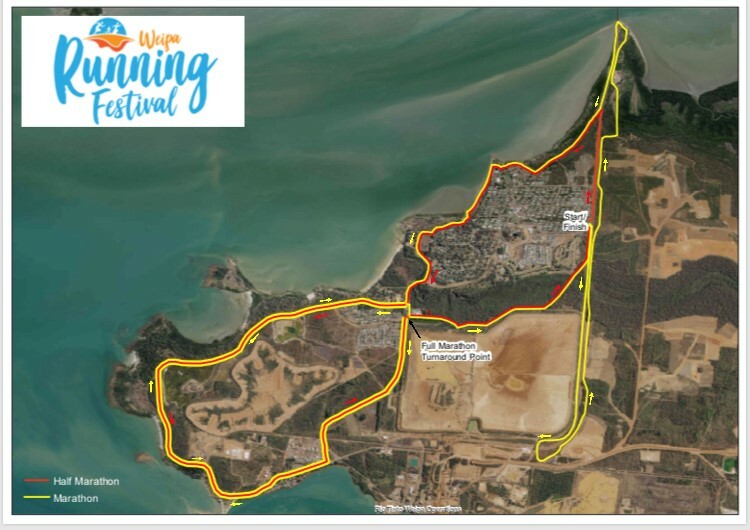 Once through the caravan park runners will be onto the dirt road which passes by the Weipa freshwater lakes. Aid station #3 will be at kilometre 11km mark and will be a full-service aid station with water, electrolyte and toilets. This is also the change over mark for the Team events and major spectator vantage point. At kilometre 14.5km runners will be off the dirt road and back onto bitumen as they pass Mitre 10 (and aid station #4). A sharp left at the end of the industrial estate will see runner travel a short dirt track section before re-joining the bitumen bicycle path heading back north towards the township of Weipa, this is the Weipa Parkrun track. 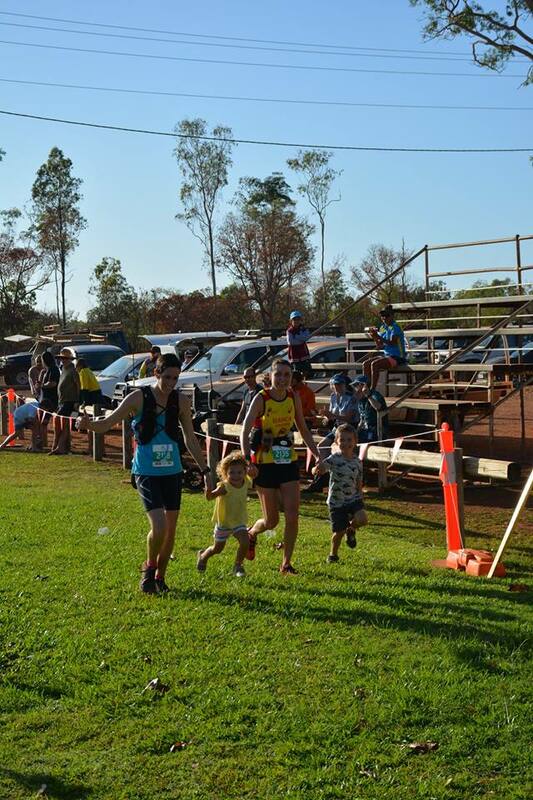 Running past Aid station #5 and follow path across road, follow marshal direction to then cross the main road and head into the bush area down behind the Weipa Hospital, following the track through to Andoom Road. The track is a single vehicle bush track with mild undulation throughout. Runners will come out of the bush track and take a left turn onto the Andoom at the 20.0km mark for a final run along straight bitumen road to the finishing Shute.